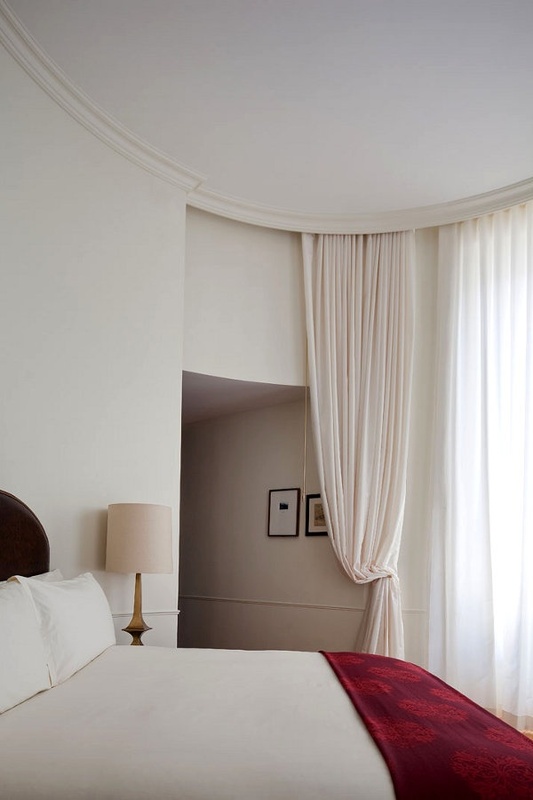 Curved windows are revolutionary, a delight, and an improvement to interior design until you seek to cover them. This challenge has causes several persons to diverge from having their houses with curved windows so as to avoid the problem of getting the right and appropriate materials to cover them. Now, to cover this kind of a window is not a problem, anything can be used to cover it, but where to attach the cover is the real challenge. If you love curved window or you must have a curved window in your house, don’t shy away from it for there is good news; the curved window cannot be covered with the rods for curved windows. Rods for curved windows have designed to suit the specific window you seek to cover. The rod is mounted above (on the upper part of the window space) the window then the curtain attached. Actually, the rods for curved windows are more like the rods for the traditional square or rectangular windows with a straight upper section. The only distinguishing feature is the curved aspect of the window which can be either by design of the window or by wall. The latter is the case if the wall is curved or an arc, thus the window is curved, either concave or convex. If you have a curved window, then you must be wondering how and from where to get the rods for the curved windows. Well, there are two main ways to source for the rods for curved windows. The first is to purchase the readymade rods for curved windows. If your facility has curved windows by design of the window, then you are sure to get ready made curved rods that fit on the standard curved window with that curve. However, if your curved window is because it is on a curved wall, then the only possible way to getting the appropriate curved curtain rods is to order then with the specific specs. Also, if your window is curved by design of the window but it has been modified out of the standards specs, then it will be hard to get a readymade rod and you will have to place an order for a customized curved window rod. How do you go about placing the order? After you have identified the right dealer, you will have to take the measurements of the window and send them to the dealer. Alternatively, if you are not sure of which measurements are the right now to take, then you can contact your interior designer or the builder to take the measurements. In addition, if the dealer is a local store, then you can have him take the measurements personally. On the other hand, if you are not comfortable with the firm curved tracks, then you have an option with the bendable tracks. These will bend to suit the curve and still provide the require tensile strength to sustain the curtain and the other track ensembles.